Founded in 2005 by Festival Director Seth Boustead – and presented by Access Contemporary Music (ACM) – the Sound of Silent Film Festival has become a yearly Chicago happening, bringing together the best of short film and music craftsmanship. Similar to the early days of film, where theater organs and orchestras accompanied the silent movies, this festival marries live music and short films to create collaboratively higher levels of art. The Fest comes to the recently restored Davis Theater for the first time, and that setting will also elevate the presentation. Filmmaker Brian Zahm has made an influential mark on the cinema scene, and has screened his work – which includes the films “Le Nu,” “Wiggah” and “Audition for Death” – at film festivals all over the world. He also works in Chicago as a “Professional Lecturer” at DePaul University, specializing in cinema production, directing and screenwriting. In the Fall of 2017, his film “Marquee” was shown in Chicago’s Millennium Park on a 40 foot LED screen as part of a local film series, and he talked to HollywoodChicago.com about the experience (click here). 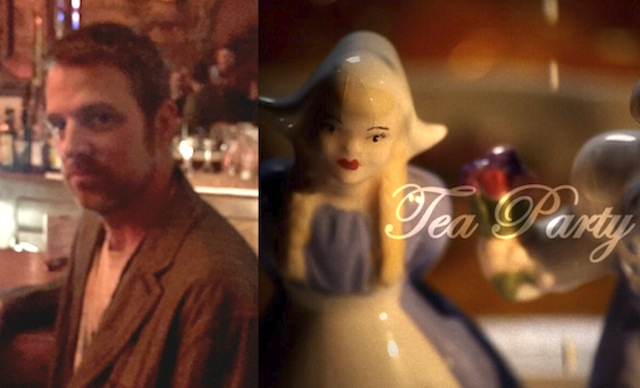 His film “Tea Party” will be accompanied by art/rock band Gunnelpumpers at the Sound of Silent Film Festival 9:30pm show. In the following Podtalk, Brian Zahm talks about concepts and origins behind “Tea Party,” the history of film and music together, and his participation in the Sound of Silent Film Festival with the Gunnelpumpers. 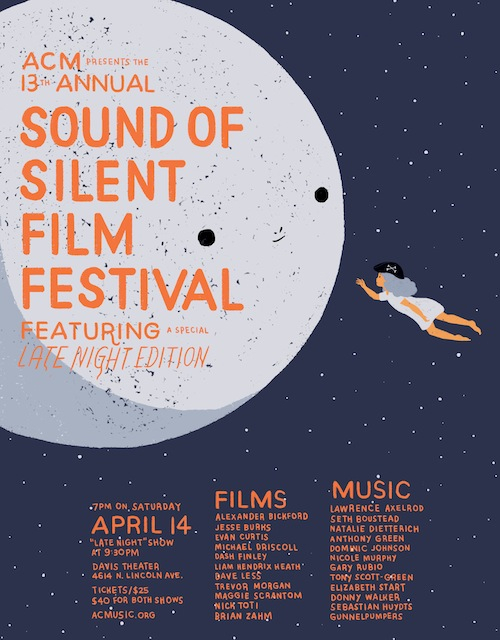 The 13th Sound of Silent Film Festival takes place on April 14th, 2018, at the Davis Theater, 4614 North Lincoln Avenue, Chicago. For program information click here. For more information on Fest presenter Access Contemporary Music, click here.